The Capital Fellows Program is a distinctive, yearlong program that gives college graduates an in-depth look into the governance of the State of California. Fellows act as assistants to senior executive branch staff, judicial administration officials, members of the California Assembly and Senate, legislative committees and other top-ranking state government officials. We asked Claire A. Bunch to tell us more about the program, future career opportunities, and the impact of California's budget crisis. Vault: Tell me about the Capital Fellows Programs. Claire Bunch: Sponsored by the Center for California Studies at California State University, Sacramento...Capital Fellows Programs are an outstanding opportunity for college graduates to engage in public service, prepare for a future career and gain experience under a seasoned mentor. 18 Assembly Fellows, 18 Executive Fellows, 18 Senate Fellows and 10 Judicial Administration Fellows are selected annually to work 10 to 11 months as full-time staff members in the California State Assembly, Senate, Executive Branch or within the California Court System. Vault: What training and orientation do fellows undergo? CB: The fellowships begin with an orientation that provides a working knowledge of state government structure and the legislative process....Assembly, Executive and Senate Fellows participate in a five- to six-week orientation and conduct interviews with potential placement offices prior to starting work in their offices. Judicial Administration Fellows attend a one-week general orientation before reporting to their placement offices. The programs also include academic seminars and fellows earn graduate credits in government or public policy and administration from Sacramento State. Assembly, Executive and Senate Fellows have their academic seminars weekly and Judicial Administration Fellows meet monthly in different court venues. Vault: I know mentoring is a big part of the Capital Fellows Programs. Can you tell me more about the relationship between mentors and fellows and how mentoring is integrated into the programs? CB: The Capital Fellows Programs consider mentoring so important that we refuse to place a fellow in an office unless the office designates an experienced staffer as the fellow's mentor. Mentors insure fellows are given substantive assignments and are fully integrated into the office staff. Mentors teach fellows the skills needed to complete assignments, advise them on professional development and behavior, counsel them on career choices and act as their immediate supervisors in the placement. 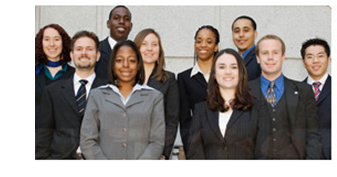 The Capital Fellows Program is one of Vault's 2010 Top 10 Internships. To learn more, read the complete interview with Claire Bunch and the full Vault California Fellows Programs internship profile.